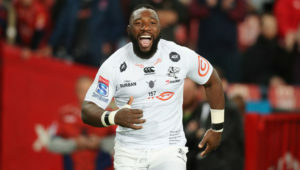 Recent losses to the Hurricanes and Chiefs highlighted the physical and mental deficiencies that continue to plague the South African game, writes JON CARDINELLI. How good is this Vodacom Bulls side? I put this question to Handré Pollard a few days ago. The focus of the magazine interview was the Springboks’ campaign at the World Cup in Japan. I couldn’t resist asking how he and the team were feeling in the lead-up to the clash with the Chiefs at Loftus Versfeld, though. At the time, the question was rhetorical. 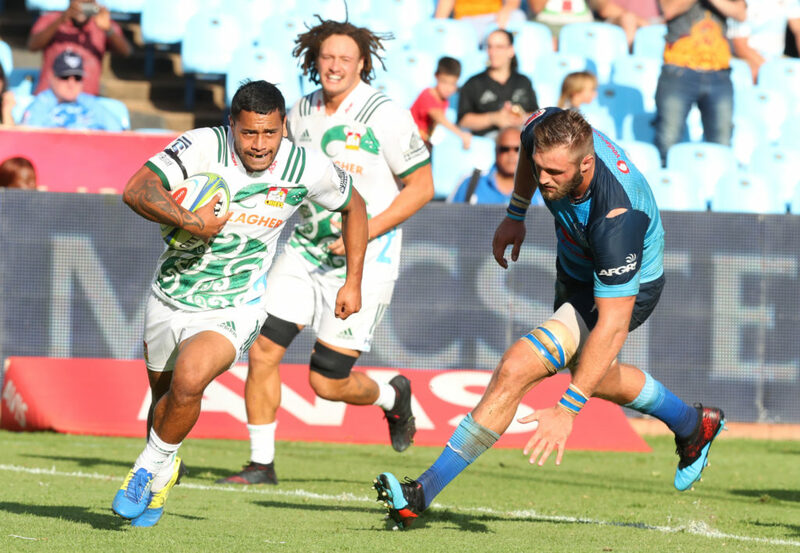 The Bulls made a statement of sorts when they thumped all three of their local foes and finished round four at the head of the South African conference. The Chiefs were travelling to Pretoria on the back of four losses and a draw. Pollard gave a measured response. ‘We did well before the bye, but we always knew that this next four-game block was going to be crucial. The games against international opposition will show how much we have improved. And so here we are, picking through the wreckage of another heavy defeat to a New Zealand side. Just when we thought that the Bulls had moved on from the dark days of 2017 and 2018, they have been handed a brutal reality check. Pote Human delivered a scathing assessment of his side’s performance. The Bulls coach spoke calmly when addressing the media on Saturday night, and yet words like ‘humiliation’ revealed the mood in the changing room in the wake of a 56-20 loss. 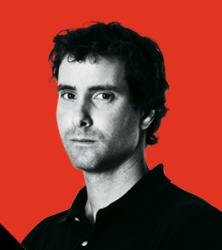 The players expected the New Zealand outfit to provide a new test of intensity. They prepared for that assault, yet couldn’t meet the required defensive standards on game day. The level of capitulation was unforgivable. The Bulls have fared poorly against New Zealand teams in recent seasons – especially away from home. At the very least, one would have expected this side, which has shown some signs of progress, to go down fighting at home. One would have expected the form team in South Africa to show some pride. As it was, the game had already begun to slip away from the Bulls in the first half. Instead of getting to their feet and hitting back, the Bulls curled up into a ball and waited for the beating to reach its conclusion. What does this mean for South African rugby? While it’s true that one bad result doesn’t define a season, it’s worrying to note that the Bulls are still capable of losing by 50 points at home. In 2017, the Crusaders thrashed the Bulls 62-24 at Loftus. In the aftermath, coach Scott Robertson pointed out the weakness in the South African game. He appeared apologetic. Steve Hansen was similarly uncomfortable when asked to give his verdict on the Boks following the All Blacks’ 57-15 win in Durban in 2016, and again after the 57-0 victory in Albany in 2017. South African rugby turned a corner in 2018. The Boks beat the All Blacks in Wellington – becoming the first nation to win a Test in New Zealand since 2009 – and pushed them close in Pretoria. At the end of the latter game, Hansen himself declared that the South Africans had caught up. While that rivalry may be alive and well, the truth is that the South African game still has a long way to go. The World Rugby rankings – the Boks are in fifth place – confirm as much. The recent Super Rugby performances indicate that there is a lot of room for improvement. The Bulls, who were the worst South African team on show in 2018, should have been up for that match against the Chiefs. They should have been desperate to prove a point, to show – as Pollard said – that they have made real progress. 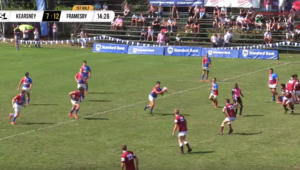 Less was expected of the Stormers this season due to their problems off the field. They weren’t expected to beat the Hurricanes in Wellington this past Saturday, and yet there were aspects of their performance that rankled. The Hurricanes opted to rest All Blacks of the quality of Dane Coles, TJ Perenara and Ngani Laumape for the Stormers fixture. The absence of Laumape alone was significant. The robust centre has been the standout at the gainline this season, and has scored five tries. But as was the case at Loftus, too few South Africans showed an appetite for the battle at the contact point. 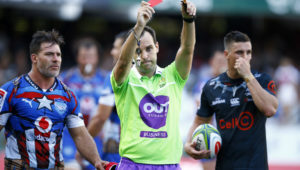 SP Marais’ feeble tackle attempt on Wes Goosen in the lead-up to the latter’s second try summed up the Stormers’ defensive effort at the Cake Tin. The South African rugby collective is still fighting to regain the reputation it lost in the wake of the 2016 and 2017 seasons. Recent performances, even more so than the results, have done nothing to aid that cause.